I started off this week with a 3 hour cheese tasting course. Pretty rough Monday right? I was fortunate enough to learn everything and anything about cheese from one of the best, Juliana Uruburu from the Pasta Shop in Berkely. She has been in the cheese business for over 26 years so she kind of knows what she is talking about. If you live in San Francisco, she teaches at The Cheese School. (Yes that is a real place) Make sure to check her out. Cheese tasting is amazing until you have to get up from the table. That is when it hits you like a brick - you have like 5 pounds of cheese just sitting in your belly. Needless to say I was really full. I couldn't even think about dinner. 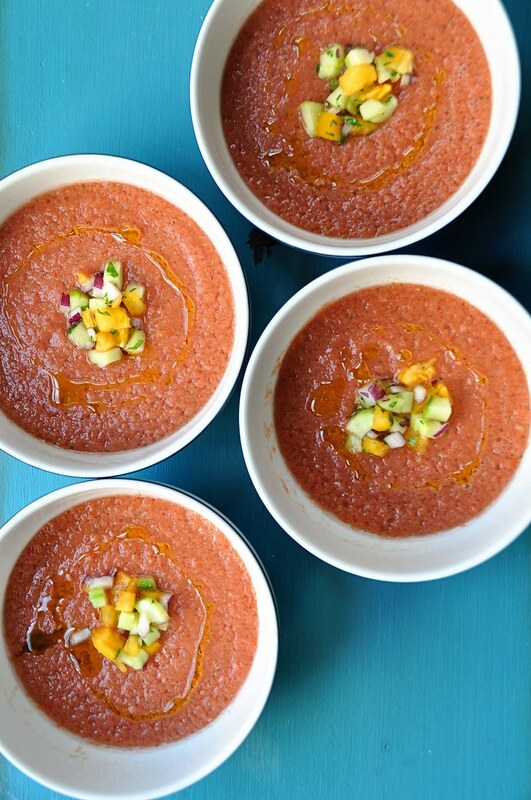 But when I had to, I decided to make gazpacho. Gazpacho may just be the healthiest thing I have ever made. No cream, no butter, no tasty meat products. Just a ton of vegggies and olive oil. With that, I think I have discovered the next diet craze. No more cabbage soup diet. No more Atkins. 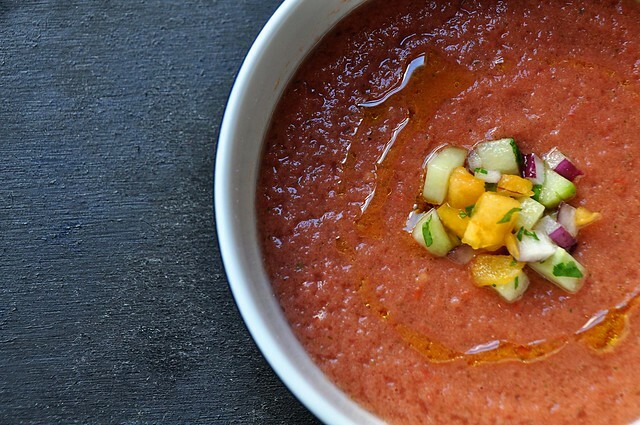 The way to get healthy is just to eat gazpacho. 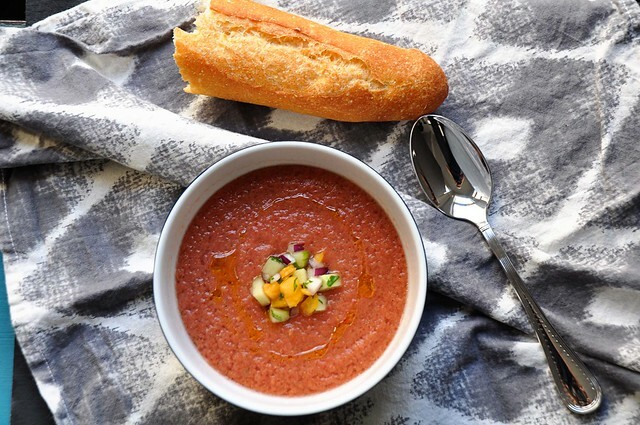 Nothing but gazpacho. Seriously,that is what I am planning on doing all week. I am turning over a new leaf after those cronuts I made last week and eating healthy. Well, maybe... 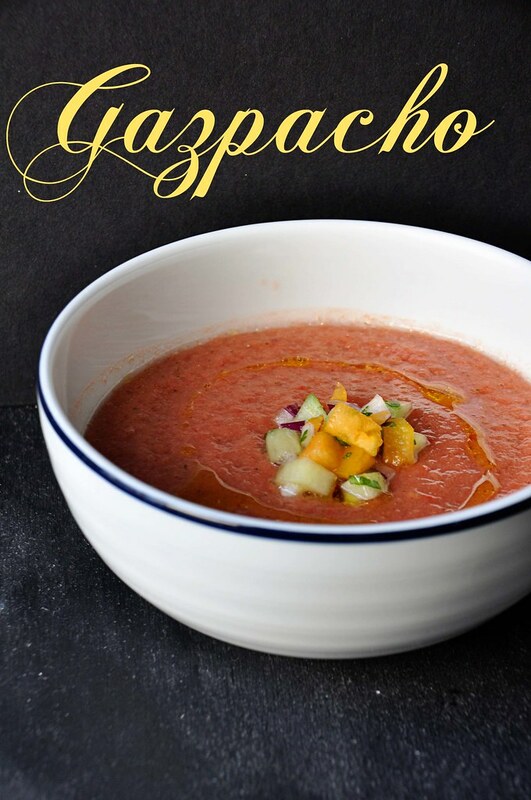 But if I was, gazpacho is the way to do it. For the longest time, cold soup kind of weirded me out. I just didn't get it. When I eat soup, I expect it to be hot or warm at best. 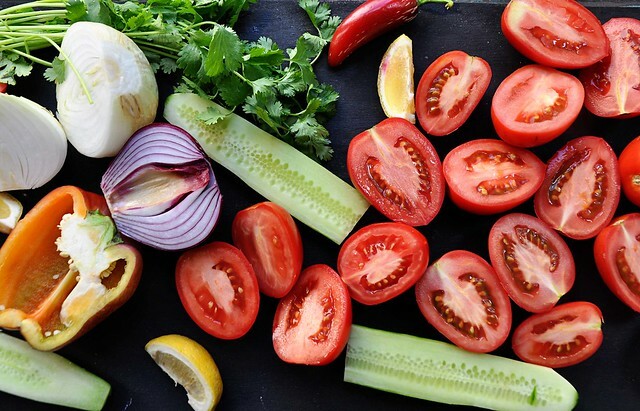 It wasn't until I tried this gazpacho recipe did the light bulb come on. I think it had to do with the consistency. I left mine a little more "chunky" but you can definitely puree then strain it to get a smooth texture. You can also add bread to make it more substantial as well as toppings like avocado or shrimp. Totally up to you. What do you think, did I just invent the next diet craze? Is this how I am going to make my millions?